Muslims in Non Muslim Countries: Germany ~ Islam My Ultimate Decision . Like most of the prescient European countries, Muslims moved to Germany as part of the diplomatic, military and economic relations between Germany and the Ottoman Empire in the 17-18th centuries. 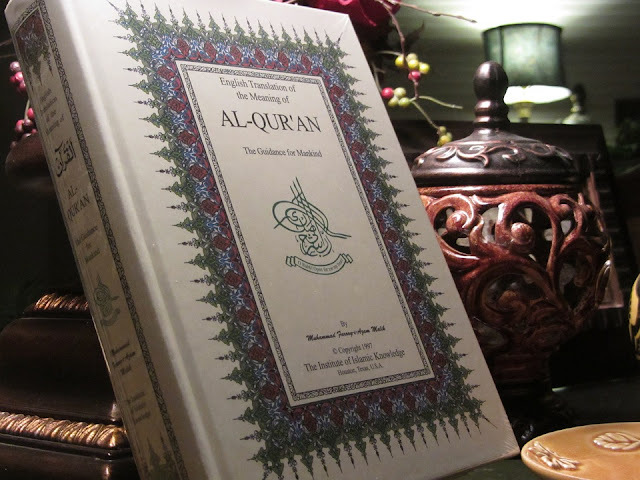 The first Muslims came to Germany as prisoners of war from the Siege of Vienna by the Ottomans (1683). The majority of these prisoners were in fact either baptized or returned to their homeland. Twenty Muslim soldiers are said to have served under Frederick William I of Prussia, at the beginning of the eighteenth century. In 1745, Frederick II of Prussia established a unit of Muslims in the Prussian army called the "Muslim Riders" and consisting mainly of Bosniaks, Albanians and Tatars. In 1760 a Bosniak corps was established with about 1,000 men. In 1798 a Muslim cemetery was established in Berlin. The Türkischer Friedhof Berlin cemetery, which moved in 1866, still exists today. In the First World War, the Ottoman Empire fought on Germany’s side and fallen Turkish soldiers were buried at the cemetery, since when it has also borne the name Şehitlik, meaning ‘martyrs’. The Şehitlik mosque directly beside it was built between 1999 and 2005 and took its name from the cemetery. 150 graves are still preserved today. In the First World War the Ottoman Empire fought on the side of the Central Powers. Consequently, Muslim prisoners of war from the Allies on the one hand came to two internment camps in Wünsdorf and Zossen near Berlin, whilst the Ottoman armed services on the other hand came to Berlin. 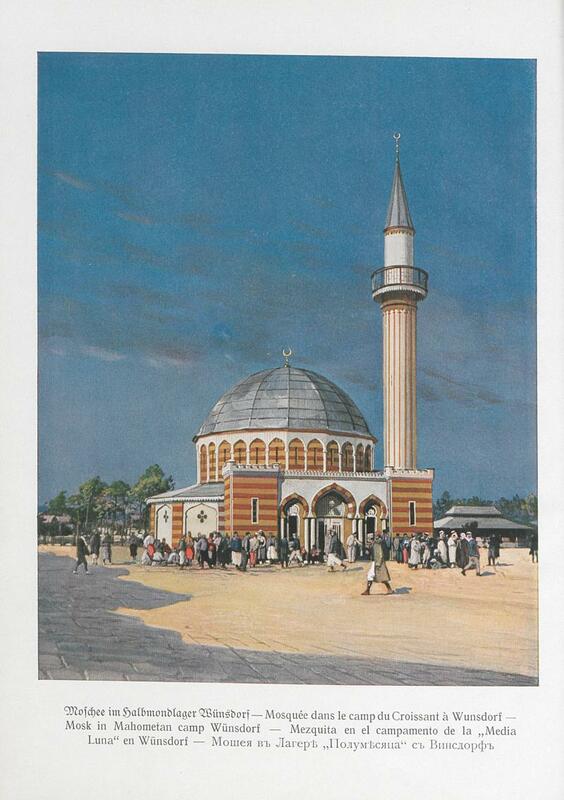 The first mosque to be erected on German soil was in the so-called "Halbmondlager" [Half Moon Camp] in Wünsdorf. The wooden domed structure with its 25-meter-high minaret, modeled on the Dome of the Rock, did not exist for long, however, and was demolished in 1930, having fallen into a state of disrepair. It was after the First World War that Muslims as students found their way into German colleges and universities. and thus the number of Muslims started to increase. 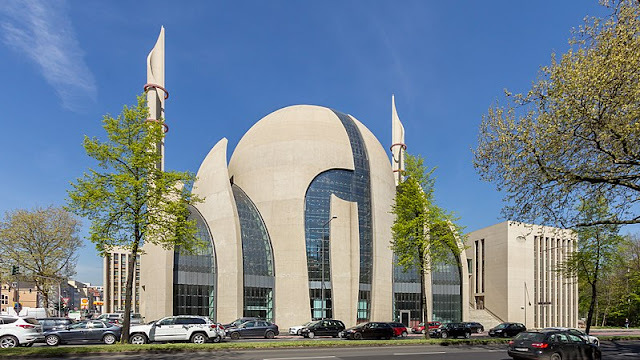 However, the Muslims came to Germany en mass with the signing of recruitment agreements with Muslim states, such as Turkey (1961), Morocco (1963), Tunisia (1965) and Yugoslavia (1968). A stop was put on recruitment during the economic crisis of 1973. Today Turks constitute a large majority of Muslims in Germany (63.2%), followed by smaller groups from Pakistan, countries of the former Yugoslavia, Arab countries, Iran and Afghanistan. The majority of Muslims in Germany are Sunnis, at 75%. There are Shia Muslims (7%) and mostly from Iran.